If you've waited till the last minute... it's NOW! Sale A Bration ends tonight at midnight! 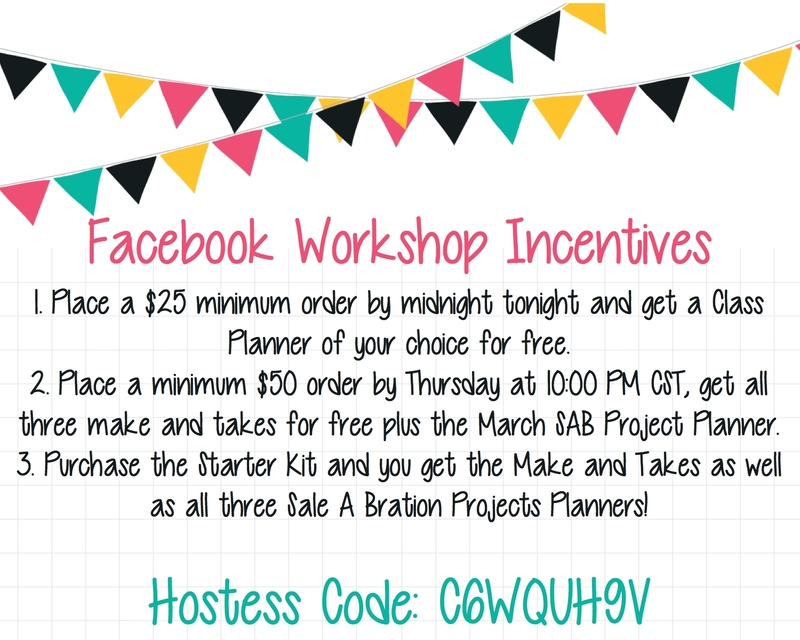 My Online Facebook Workshop is still open and you can earn free Make and Takes (and a Sale A Bration project Planner) if you order by 10 PM CST. 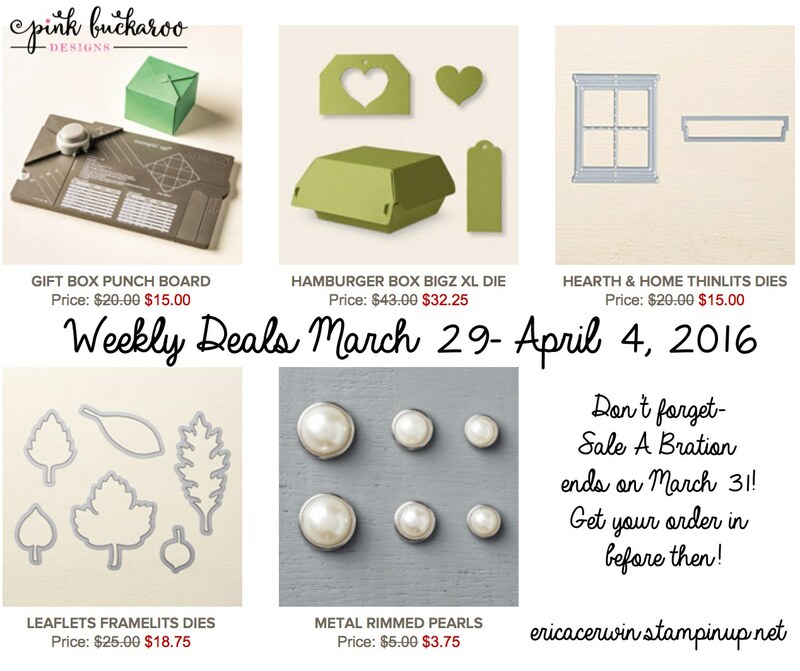 Don't forget to check out the Weekly Deals as well. YES! These count towards a qualifying order! You can order anything you want and when you hit $50, you get a free Sale A Bration item! 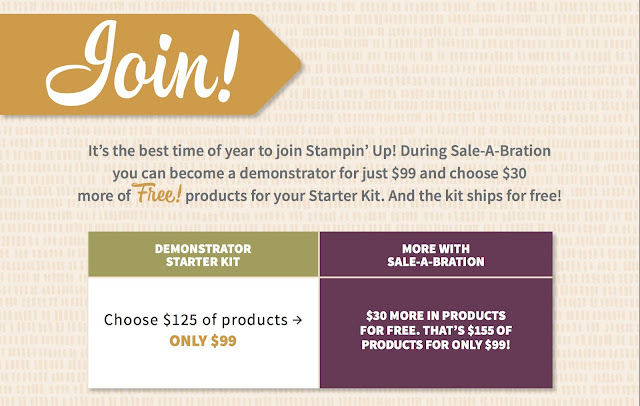 Don't forget also that if you REALLY want a good deal, you should purchase the Starter Kit! Have a wonderful day! Email me if you have questions about the end of Sale A Bration or the Starter Kit. Have you checked out my next big event? It's available To Go as well! This is part of my Spring Fling Event and you can come anytime between 10 and 2. All class to go kits will ship at the same time, no later than April 25th. RSVP for either live or to go kit is April 17th. Live Class is April 23 as part of my Spring Fling Event. Come anytime between 10-2. Class To Go- please add on $4 for shipping. RSVP Deadline for both is April 17th.